My Crafting Channel: Silhouette Challenges Special Challenge Glass Etching "Rose Vase"
Silhouette Challenges Special Challenge Glass Etching "Rose Vase"
Good morning my bloggie friends. I hope that each of you had a fabulous holiday. 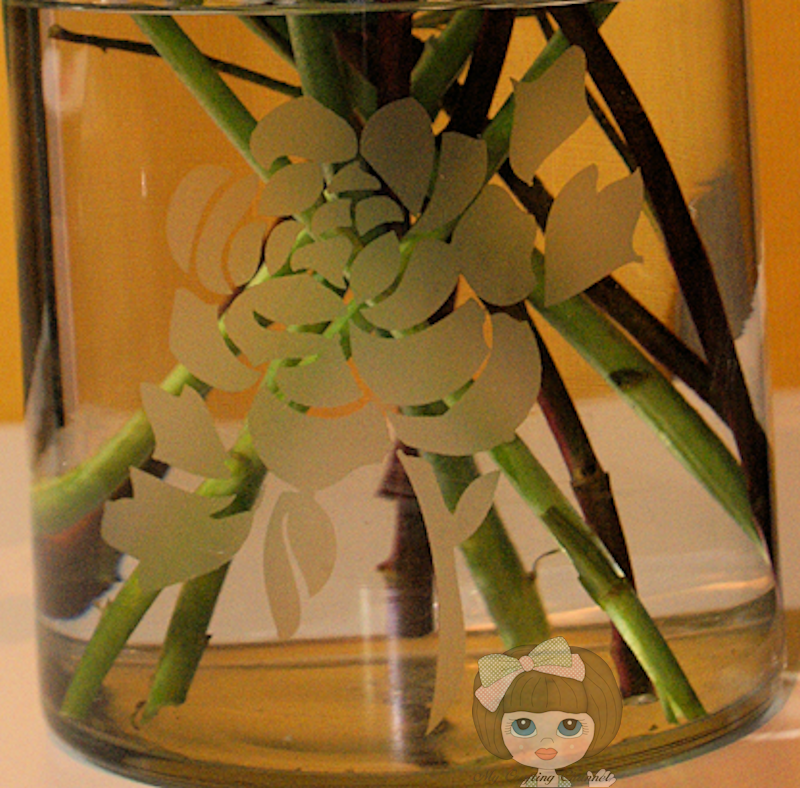 This morning I'm posting for a Special Glass Etching Challenge that is going on over at Silhouette Challenge. This was a learning experience for me. I think now that I have figured it out I will be doing it more often. When we take it to her Sunday I will pull these flowers out and put them in another vase I will be doing tomorrow for me, stop and get new flowers for her this time getting enough to fill it up. Be sure and watch for my second vase to post. It's going to be all about the spots. I mentioned above about a few learning curves. I did not have any luck at all with the material that came in the Glass Etching Kit by Silhouette. The cutting material was a disaster. The cream was too thick. After some advise from a few DT members I learned that I could use contact paper. Cuts and weeds like a charm and cost is so much less. I purchased Armour Etch and it worked perfectly. I'm not saying that the material or cream from Silhouette are bad products. Maybe the kit was old and had been in a warehouse to long that I purchased. So much for my babbling. Onto some pics. I really love how the rose turned out on the vase. What do you think? Winners for any challenge is announced on the Winners page on the 3rd day of the following month after a challenge ends. 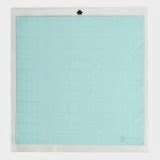 If you have never used the Silhouette for glass etching here is a how to video. Step outside your comfort zone and join in the fun. Your vase turned out lovely. I love the flower design you used. The rose is lovely! Great Job! Very pretty vase and flowers. your vase is really beautiful Nana! I've never etched glass before, some of my boys have in boy scouts, but not me! Inspirational!! thank you for sharing the video! This is just beautiful! Great job! I will have to try this. So beautiful! I love the rose on the vase. What a beautiful vase Nana! Love how the etching turned out!!! Your vase is beautiful Nana! Awesome job! This vase turned out beautifully, I am so glad you finally got it sorted because it was well worth it. I tried to etch a wine glass first time I tried it and oh boy that is difficult because of all the different curves. WOW this is beautiful!!! I love the rose image!! You did a great job!! Love it!!! Your vase turned out beautiful!!! Prefect for weddings or holiday gift!! This is such a beautiful vase Nana and I am sure it was really appreciated and will be used with pride by your MIL. Beautiful vase! I'm sure she is going to love it! Beautiful vase. 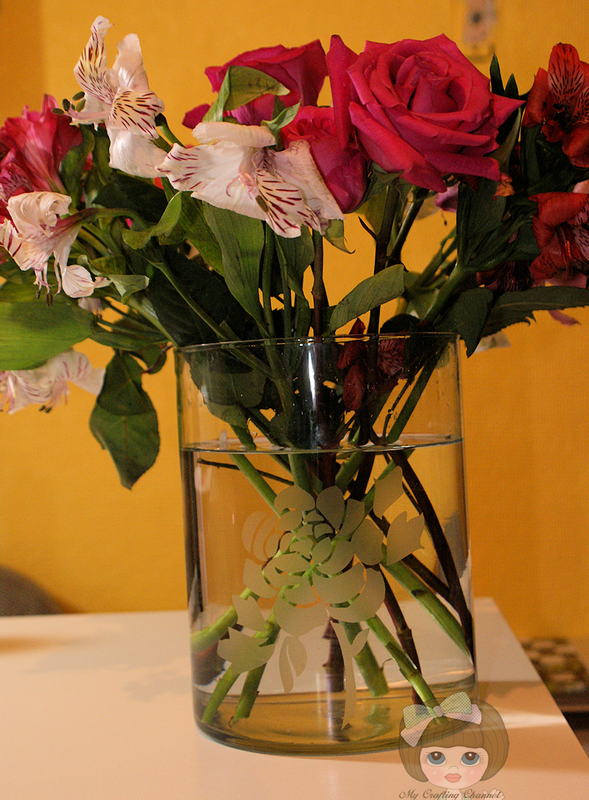 I love the etched rose on vase.